What could been? That's what many wonder when they think of Barry Sanders and his early retirement from the NFL in 1998. 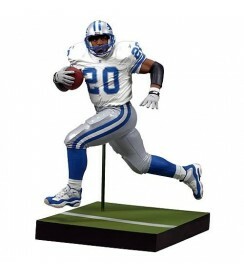 A perfect blend of toughness, elusiveness, and breakaway speed, Barry Sanders was still at the top of his game. This former Detroit Lion was a 10-time All-Pro and Pro Bowl selection. 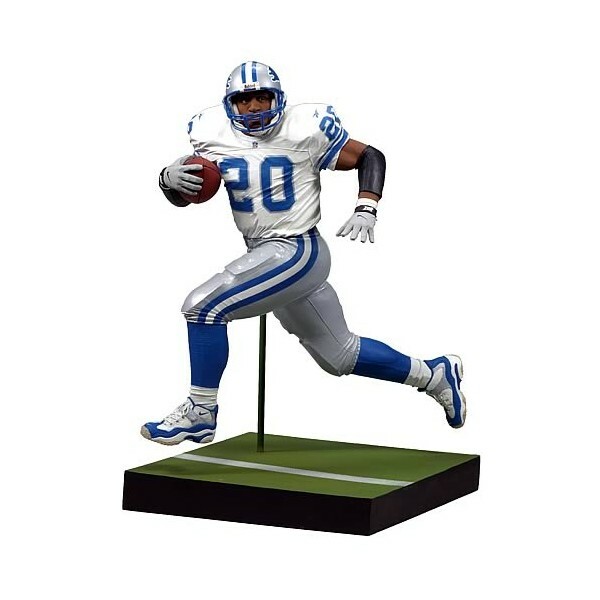 Stats didn't matter to Barry Sanders, but picking up this 6-inch tall action figure should matter to you as he jukes and jives into your collection!